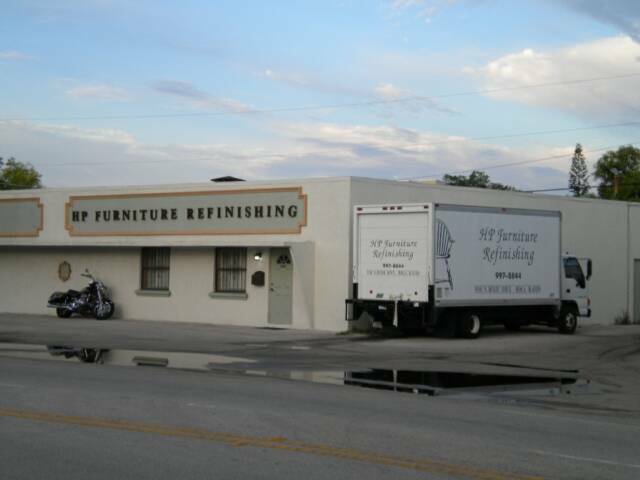 For over 40 years, HP Refinishing has been working with local design firms as well as homeowners with finishing needs. Our 4000 square foot facility, equipped with two spray booths, can handle any job large or small. We take pride in our work, and work hard to exceed expectations. Whether you need a bedroom or dining room refinished, or a prized antique restored, we would love to work with you. We are located directly on the west side of Dixie, just north of Yamato Rd. Customers are always welcome to stop by our shop or to bring in smaller items. You can text or email us photos of your pieces if you need general pricing, or we can schedule an estimate.